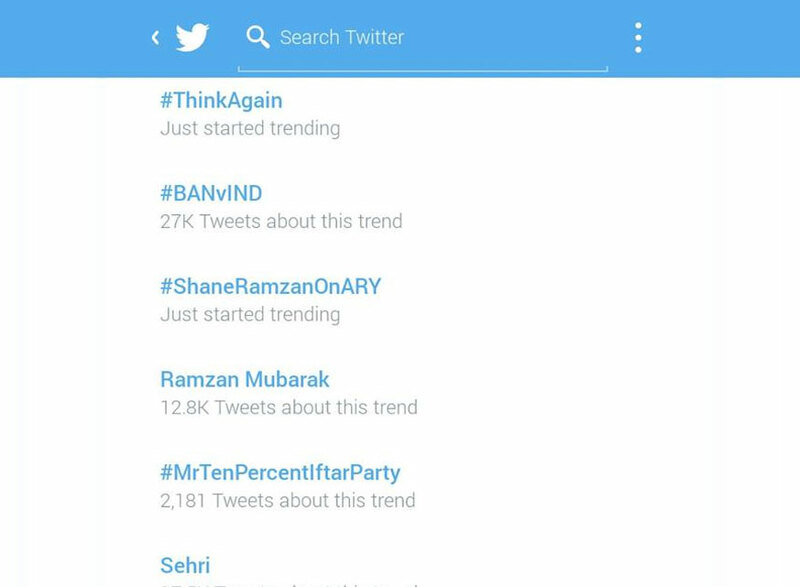 The Shan-e-Ramzan transmission has gauged everyone’s interest so much that it started trending on Twitter in Pakistan from the first night of its transmission. 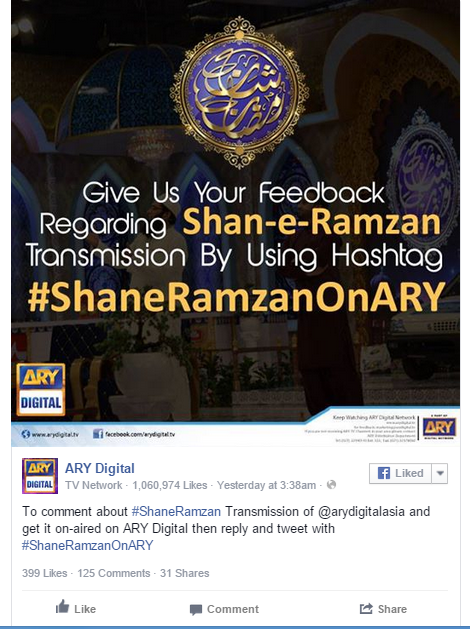 The Shan- e-Ramzan transmission has always provided viewers with what they needed the most which is profound Islamic knowledge delivered in the best possible way. With Junaid Jamshed and Waseem Badami hosting the Sehr transmission everyday from 2:00 am, and Iftar transmission everyday from 2:30 pm, people were glued to their sets. The marvelous set, beautiful recitations of naat as well as important lessons at the time of Sehr were what the viewers were looking for during the time of Ramzan. Shan-e-Ramzan has been one of the most watch Ramzan transmission program and people wait for it the entire year, it spread extensive knowledge about Islam which every Muslim strives to learn about it. Every year the program comes up with new segments and this year Shan-e-Ramzan 2015 comes up with a new daily segment of Naiki in both transmissions of Shan-e-Iftar and Shan-e-Sehr where Iqrar ul Hassan reached to the deserving souls who are eager for help. There are lots of more tweets on Twitter where people are expressing there love for the show and how long they have to wait for the transmission. The trend is also on Facebook and this post was made on the official page of ARY Digital and soon after that the trend started to take place. Visit our official Facebook and Twitter pages for instant updates about ARY Digital. The viewers can express their views by using the hashtag and be the part of the trend on social media. You can watch all the episode of ‘Shan-e-Ramzan 2015’ online by clicking here.